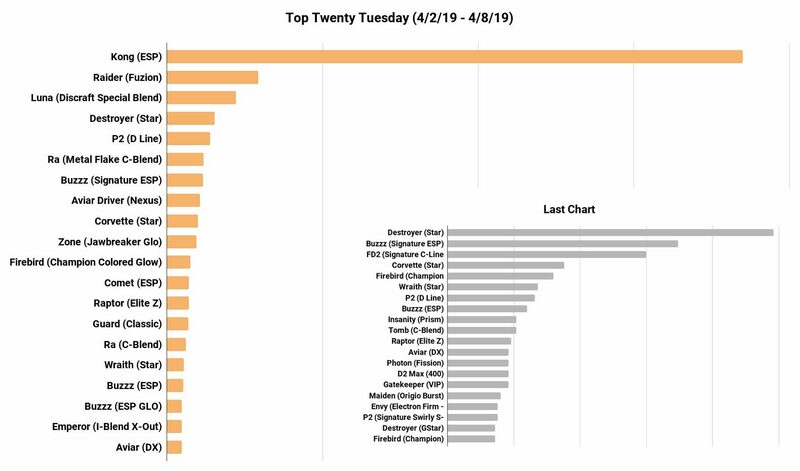 Some of the new releases by MVP / Axiom / Streamline really dominated the chart this last week, with the new MVP ENTROPY rocketing to the #1 spot as an overstable putt-and-approach disc. The ESP KONG remains strong at #2 with the new Fuzion RAIDER by Dynamic Discs taking the #3 spot as a solid long-range bomber for experienced players. The Prism Plasma WRATH by Axiom also did well along with the Envy in two different plastics, and the Prism Proton INSANITY. 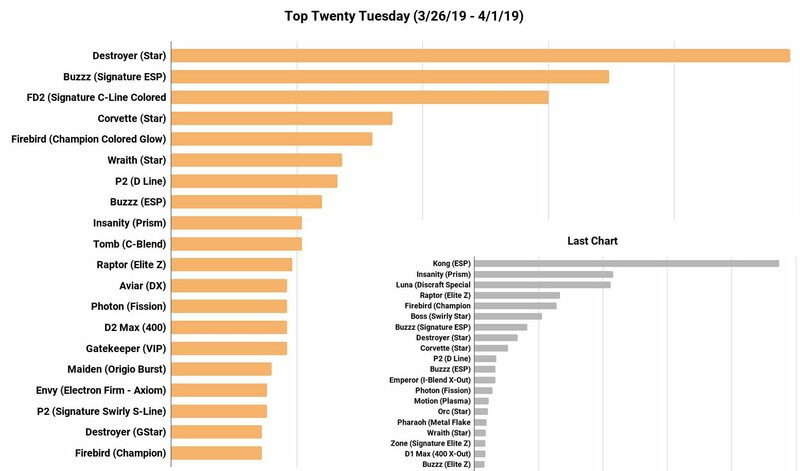 WINNER – The #3 spot went to the Fuzion Raider this week, which was first guessed by Michael– though he didn’t say “Fuzion” (remember to guess the plastic type). But we’ll give it to him since there is no other plastic type right now. We’re also giving a win to Barrett who came in very close to Michael on the guess for the Raider, but mentioned Fuzion as the plastic type. Good job guys! Which brands do we prefer to use? Did our favorite brands change this year? 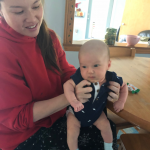 This is an especially interesting year in disc golf to take a look at the survey responses that relate to this topic because of the many sponsor changes made by top professional disc golfers this offseason. Well, if you didn’t know already, Paul McBeth really is the king of disc golf in so many ways. As you can see, just over a third of all survey takers have thought about purchasing Discraft product strictly because Paul McBeth is now throwing their discs during tournament play. 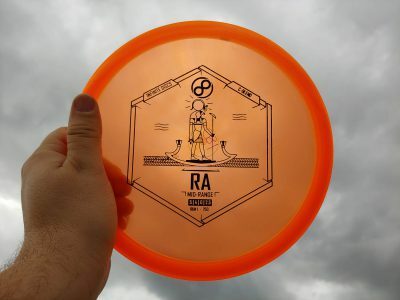 And then, as we saw in the favorite disc golfers post, Ricky Wysocki’s change to Innova doesn’t seem to have been as well received. I’ve mentioned this before, but I really think it is because the fans Ricky Wysocki gained over the last few years while he was sponsored by Latitude 64 viewed Innova as more of a rival than the fans of Paul McBeth viewed Discraft. This is a fascinating anomaly in disc golf. But as the data has proven in multiple ways, we as disc golf consumers care about which brand of discs sponsor our favorite pros, and it influences our buying habits. 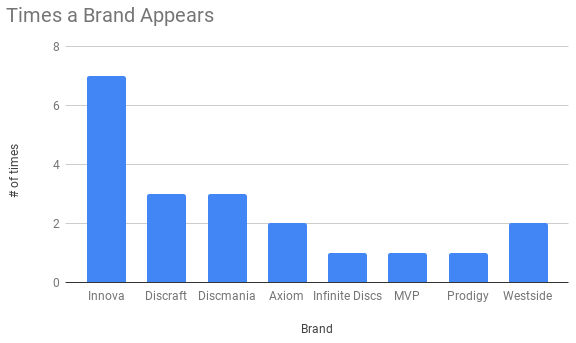 One little tidbit of data is especially interesting in this enigma that is the relationship between favorite disc golfers and favorite brands it what I would call the Eric Oakley effect. Eric Oakley is one of the best touring pros not just at disc golf, but at marketing himself using social media outlets. This makes him an especially valuable team member for any sponsor. 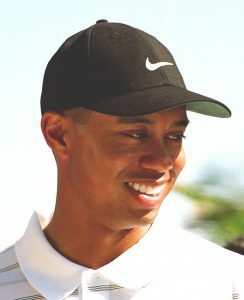 His manufacturer sponsor over the last few seasons has been Dynamic Discs, one of the Trilogy brands (Dynamic Discs, Latitude 64, and Westside). In the survey we asked survey takers if their favorite brand of discs changed this year, and if they answered yes, we asked who their new favorite brand is now. So we took a look at survey takers who named Eric Oakley as one of their favorite disc golfers. 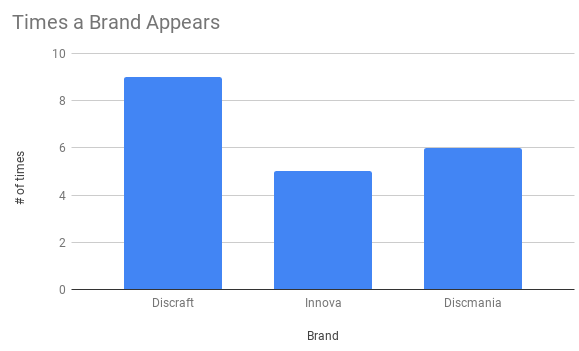 Then of those participants, we looked at which ones changed favorite brands. Of these survey takers, 83% said their new favorite brand was one of the Trilogy brands. We see this trend when looking at other professionals as well, but Eric Oakley seemed to have the strongest influence this year. So if data trends show professional disc golfers making a significant influence on our brand preferences, why did so few cite them as reasons for changing their favorites? In my opinion, I think it is fair to say that perhaps these survey takers tried out discs made by their new favorite brands because of the influence of their favorite professional disc golfers, and they stuck around for reasons like the feel and flight of their discs. As was previously mentioned, nearly 33% of all survey takers said they would consider throwing Discraft discs just because of Paul McBeth–before Paul had even thrown a Discraft disc in tournament play! Remember that Eric Oakley effect I talked about? We can definitely see that influence carried over here. You could also argue from these results that the McBeth effect is so strong that he doesn’t even have to throw a disc to make people change their favorite manufacturer. 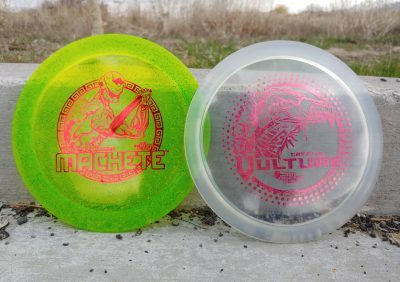 IF YOU COULD ONLY USE DISCS MADE BY ONE MANUFACTURER, WHICH WOULD YOU CHOOSE? I think a lot of this comes down to selection. If you look at how many discs are available from each of these manufacturers, it pretty much coincides with these results. But it is significant that almost half of all disc golfers who took the survey would choose to only throw discs made in an Innova factory if they had to make that choice. All other manufacturers were selected by less than 1% of survey takers. 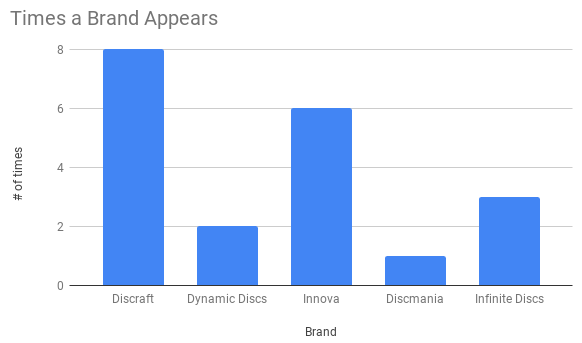 I don’t think that Innova being the most popular is too big of a surprise, but over 80% of survey takers having at least one Innova disc in their bag is a bit surprising to me. It just goes to show how dominant their influence has been in the disc golf world over the years. 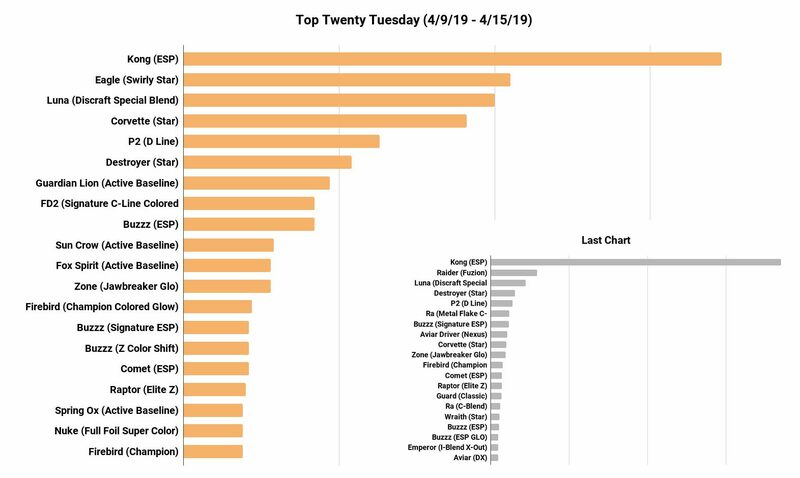 I also was a little surprised to see that Discraft was number two. I would have predicted Latitude 64 to be the number two. Which means I was also surprised to see that Dynamic Discs was higher than Latitude 64. That being said, it is important to note that the question just asks which brand of discs are in our bag. So if a survey taker has only one disc of a certain brand (like the extremely popular Discraft Buzzz) then they would include that brand in their response. The trilogy brands together were the third, fourth, and fifth most popular brands. For a long time Latitude 64 was the only of the three that had a “complete” lineup, so they were always the most popular. 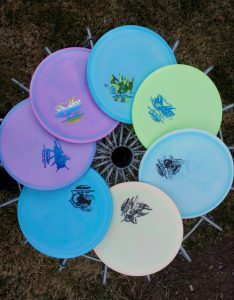 However, both Dynamic and Westside Discs have released more and more discs giving players–especially those loyal to Trilogy–more options. Looking further down the chart it looks like things shook out as expected. 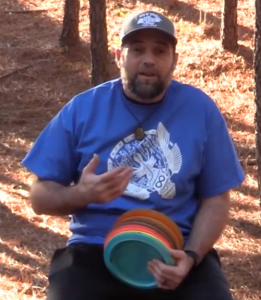 I was a little surprised at how low Prodigy was considering it wasn’t that long ago that they took the disc golf world by storm and had a large team of professional disc golfers. But Prodigy has been a little more aggressive this year with newer molds being added to their lineup like the recently hyped D2 Max. It will be interesting to see if they can get these new molds into the bags of disc golfers. So we have thrown together several charts and lists here today, but what does it mean? No, I’m really asking, what do you think it all means? Let us know in the comments what you think of this data and what it says about our current state of disc golf! Discraft has just released a number of amazing new limited edition discs as fundraisers for the 2019 Ledgestone Insurance Open. These beautiful discs include a variety of special stamps and plastic blends that up until now, have not been available. 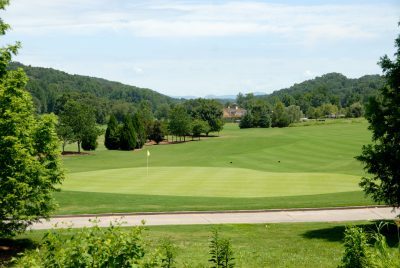 Infinite Discs is happy to be a supporter of and the official vendor of the Ledgestone Insurance Open. 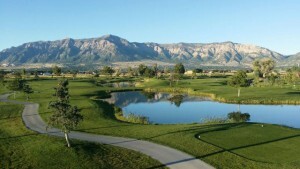 The Ledgestone Insurance Open is one of the biggest disc golf tournaments in the world. 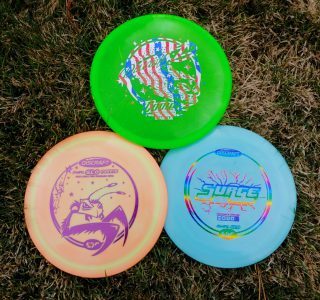 You can help grow disc golf and support this event by purchasing these fundraiser discs. These discs are all available on ESP Colored Glo Buzzz’s. This amazing plastic changes color depending on the angle you look at it. These discs may all look like they are black on our website, but hold it at an angle in the sunlight and they will radiate shades of green, blue, and purple! This isn’t the first time Discraft has released a colorshift Buzzz, but due to their rarity, you will have a hard time finding this plastic blend. Buy your colorshift Buzzz before they are gone. The Discraft Comet is our third most popular selling Discraft mold. We have never had this disc available in Z Sparkle plastic before. This limited edition comet is in Discraft’s most popular Z blend plastic with a unique stamp and glowing sparkles. 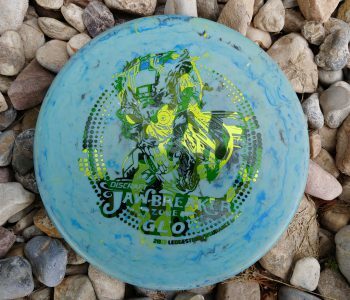 The Mantis and Surge appear in Swirl Glo plastic for the first time as part of this limited edition fundraiser disc batch. Quantities of these discs are extremely limited. The Zone is our second most popular selling Discraft disc and has been very popular in Jawbreaker plastic. This Ledgestone edition is a little softer and grippier than traditional Jawbreaker and it glows in the dark! The stamp used on this Zone features the same Zombie art work as the 10 year edition. CryZtal plastic was one of Discraft’s original fundraiser blends. With bright colors, a translucent look, and more grip than traditional Z, many players have lusted after Discraft discs in CryZtal plastic. Two of Discraft’s newer discs are now available in the CryZtal blend (at least for this limited fundraiser release). The Ledgestone edition Machete features sparkles and vibrant colors as well as a translucent clear look. 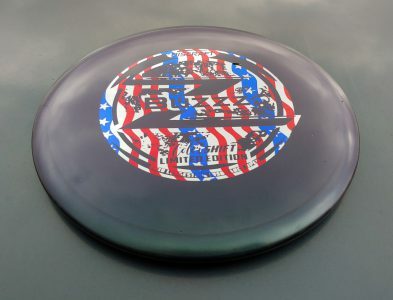 Last but not least, this fundraiser release features the Discraft Nuke in full foil. This is the first ever full foil version available on the Discraft Nuke. We have full foil Nuke’s available in three different foil varieties; star, prism, and sparkle. 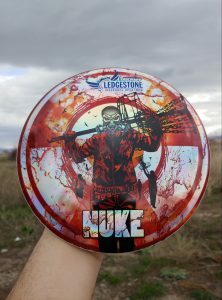 Even if your arm can’t handle a disc as fast as the Nuke, you may want to collect this limited disc just for its visual appeal.